Poise, shades of cerise, and thousands of bangles of every color. 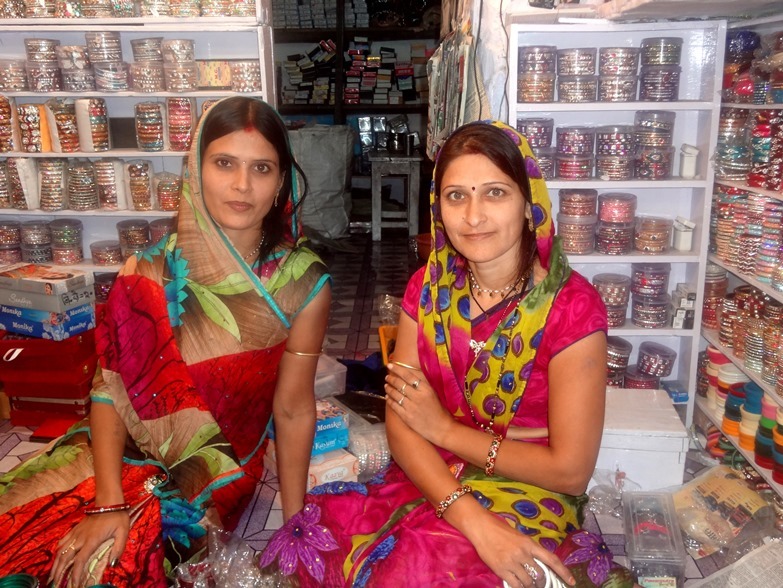 Shapura- Rajasthan. 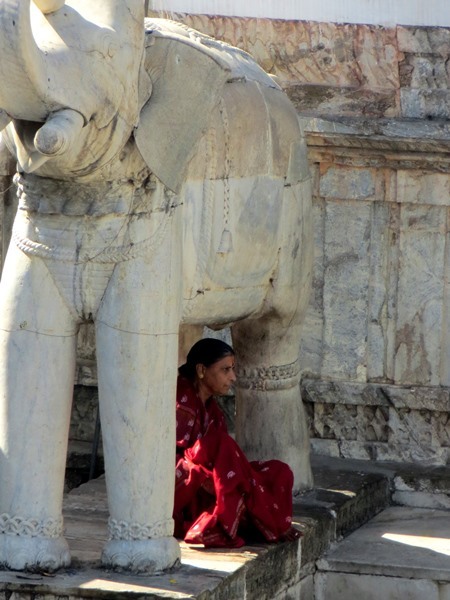 An ancient carving outside the Jagdish Temple, offers shade and a space for contemplation. 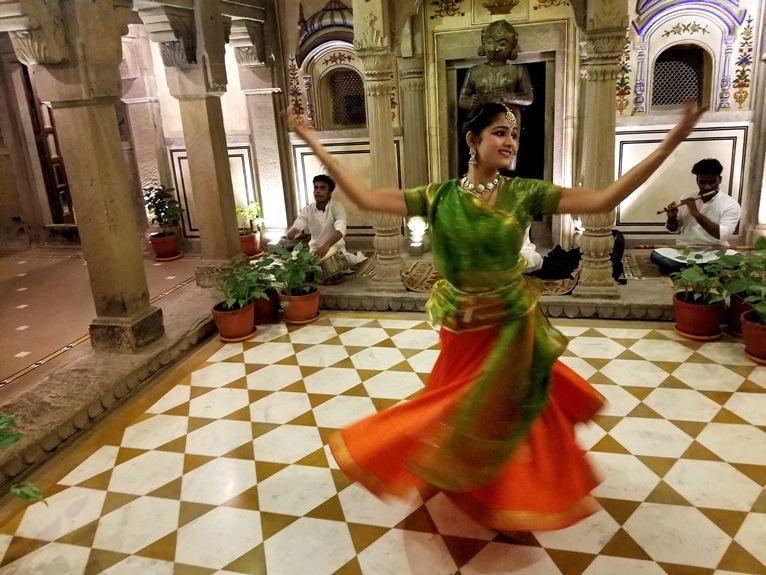 Udaipur-Rajasthan. 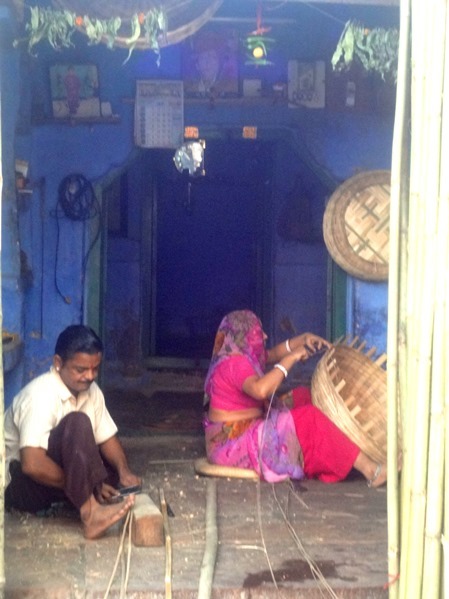 Basket weaving in the Blue City- Jodhpur- Rajasthan. Listen to that bird singing in the treetop! 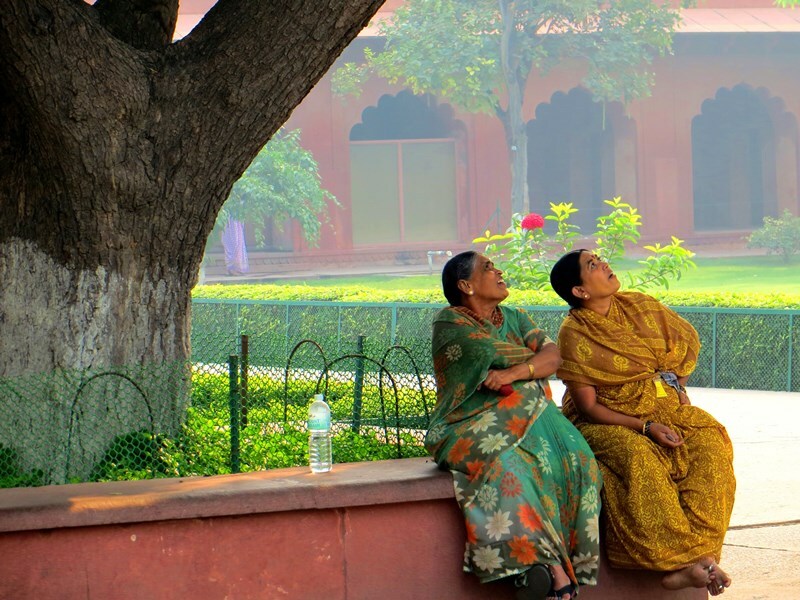 Agra- Rajasthan. 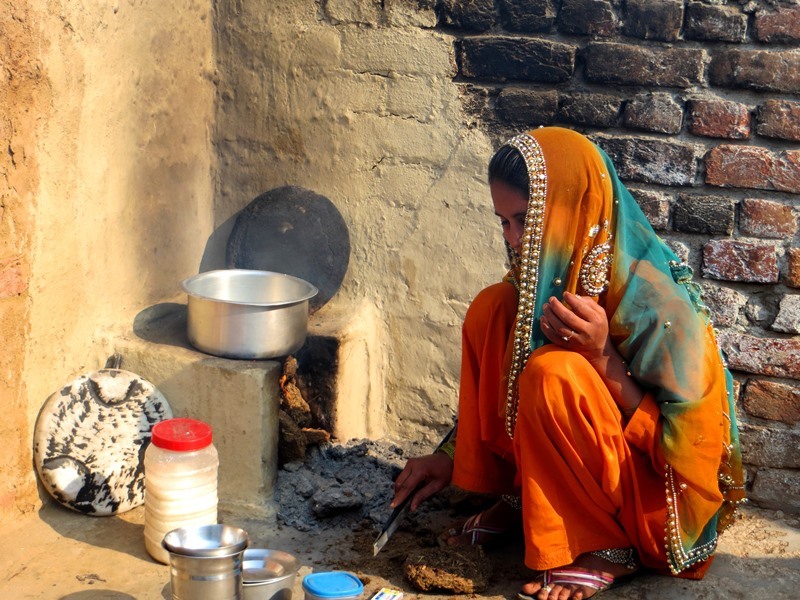 In her modest family home, this graceful young woman prepares sweet, fragrant,chai. 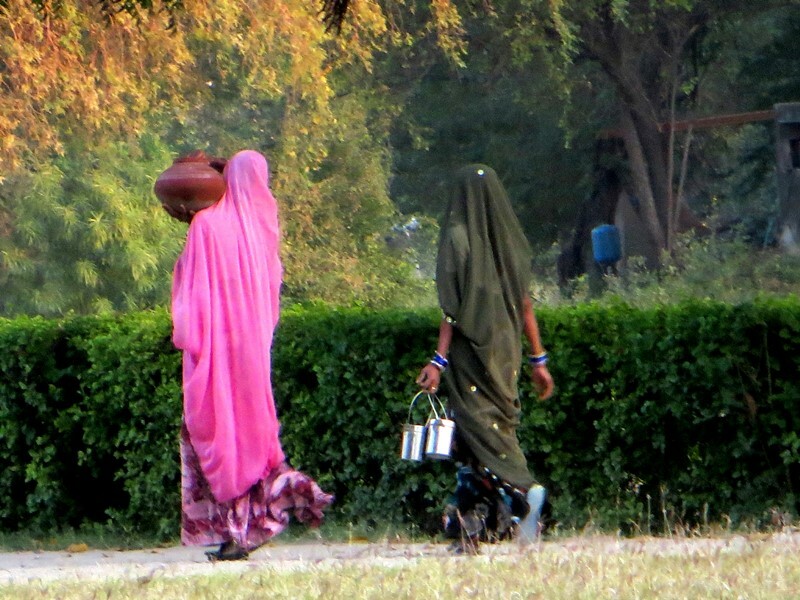 Rajasthan. 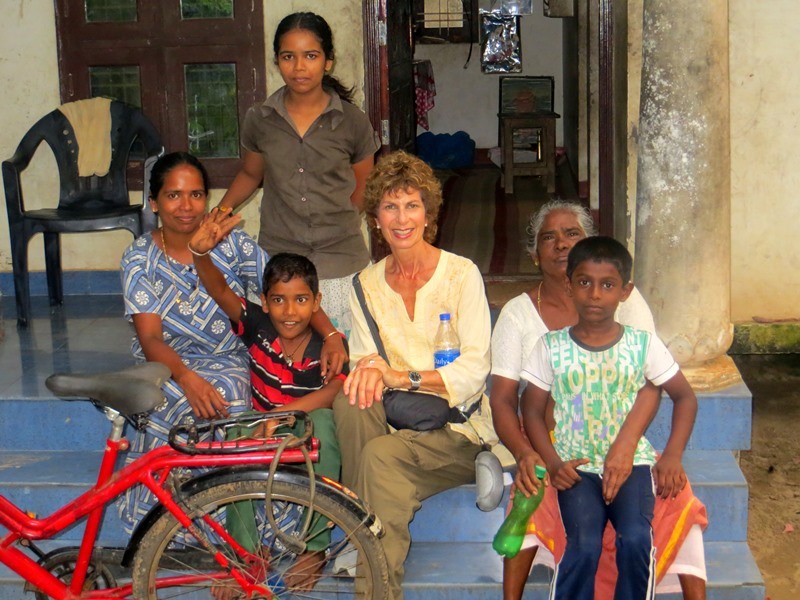 The proud matriarch poses with her grandchildren. 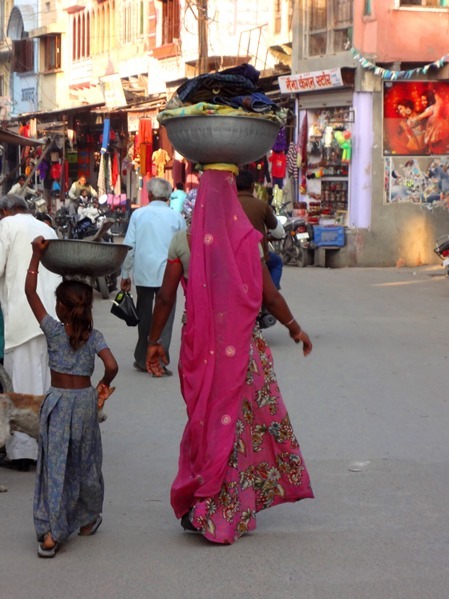 Mother and daughter go about their daily work. Their carriage is regal. 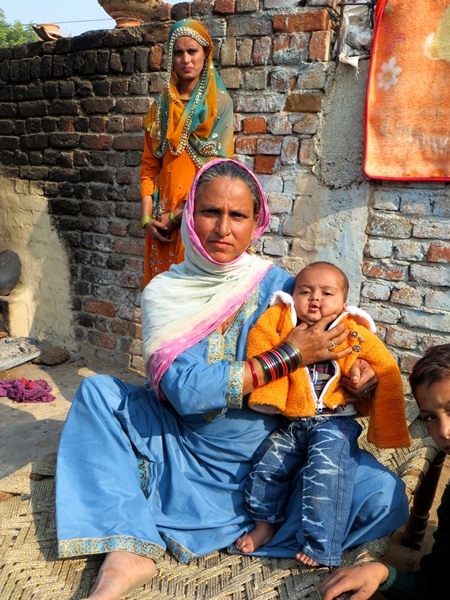 Sharing a laugh with three generations – Pragpur – Himchal Pradesh. Inside the Brijrama Palace. Varanasi – Uttar Pradesh. 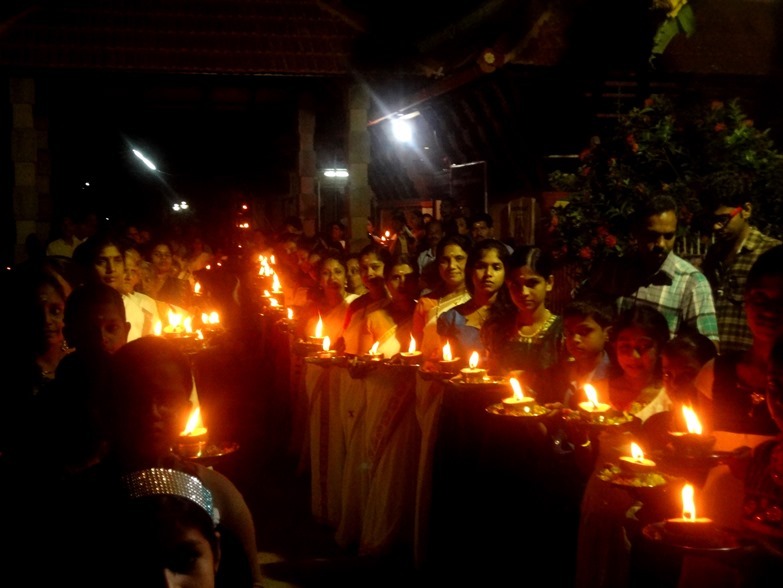 A lakeside festival to honor Lord Shiva. Kozhikode- Kerala. 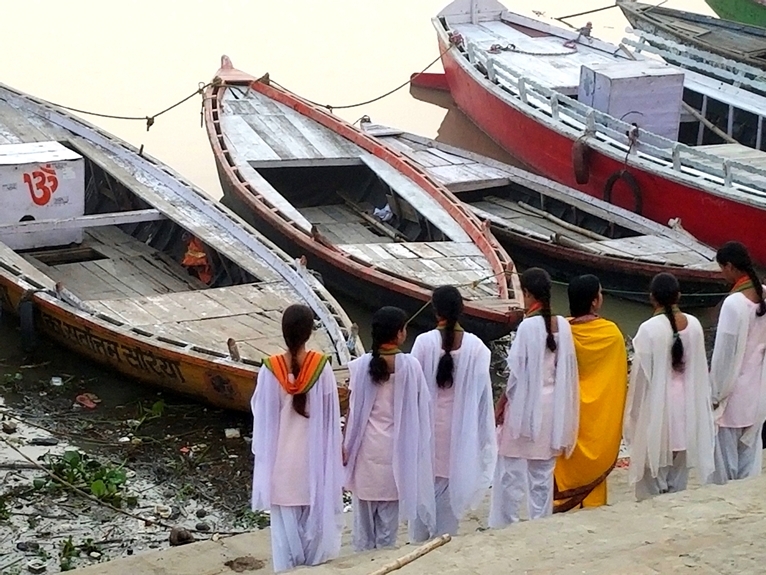 Young girls participate in the moving daily ceremony of ushering in a new day. Varanasi- Uttar Pradesh. Morning in Hampi. 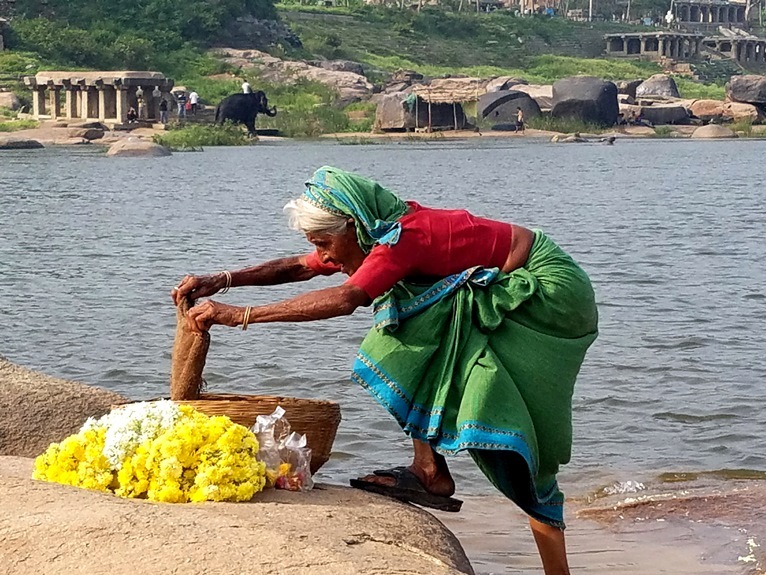 A woman prepares her basket of marigolds, while across the river an elephant takes a bath. Karnataka. 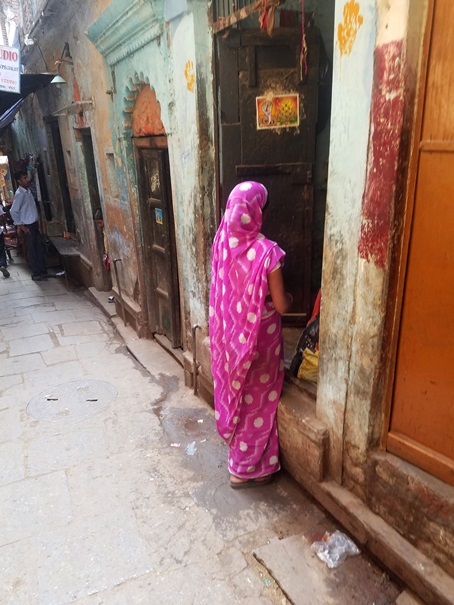 Framed by the doorway in the narrow lanes of ancient Varanasi-Uttar Pradesh. 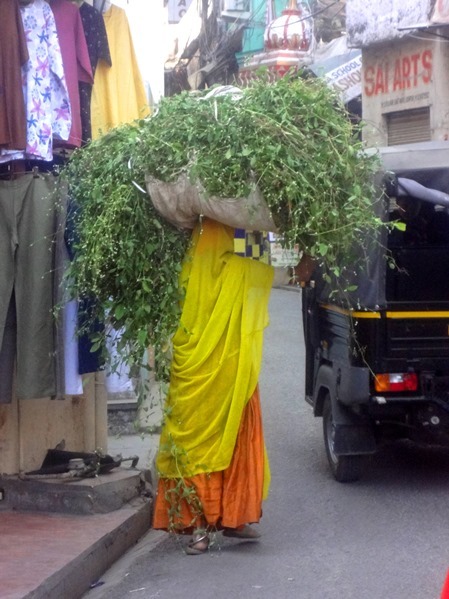 Draped in a heavy load of greenery. Udaipur- Rajasthan. Invited into the home of this charming family. The Backwaters- Kerala. 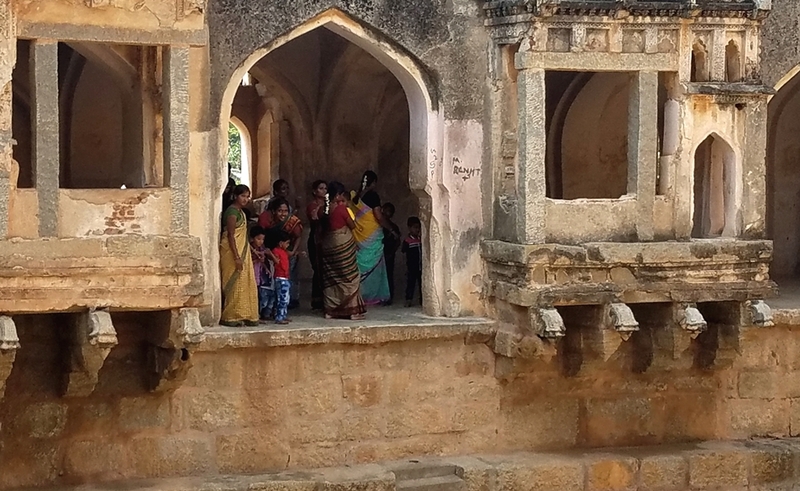 Women and children framed in an ancient , weathered archway, provide a pop of color and contrast. Hampi-Karnataka. 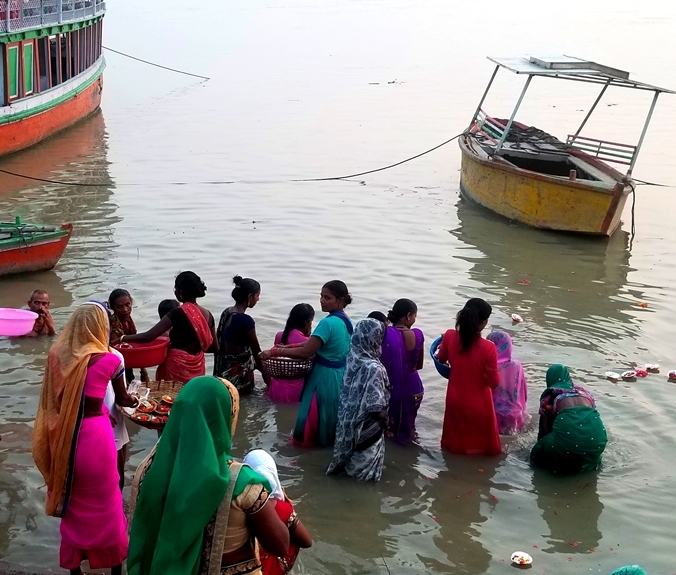 Women pay their respects to Gangaji -Mother Ganges – at dawn, in a moving ceremony. Varanasi-Uttar Pradesh. 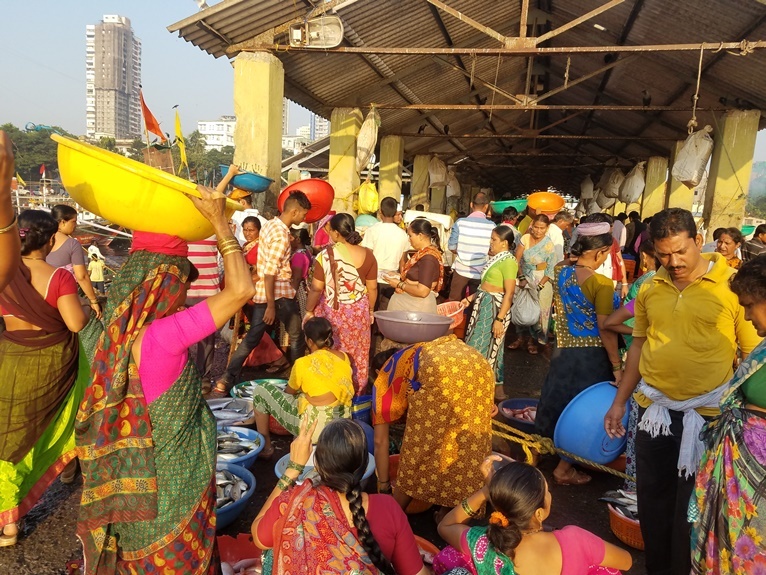 Mumbai – The Sassoon Docks fish market. Maharashtra State. These two lean, graceful women remind me of fashion models. Shapura – Rajasthan. 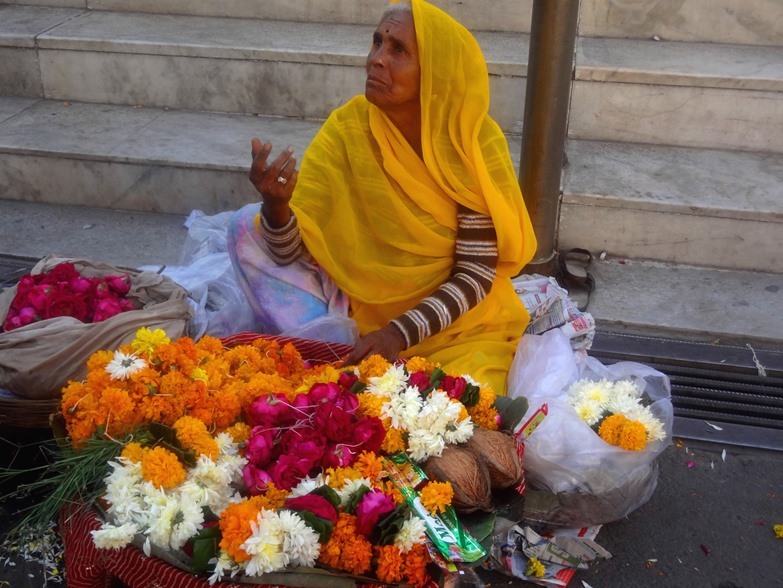 Flower seller outside the temple. Udaipur- Rajasthan. 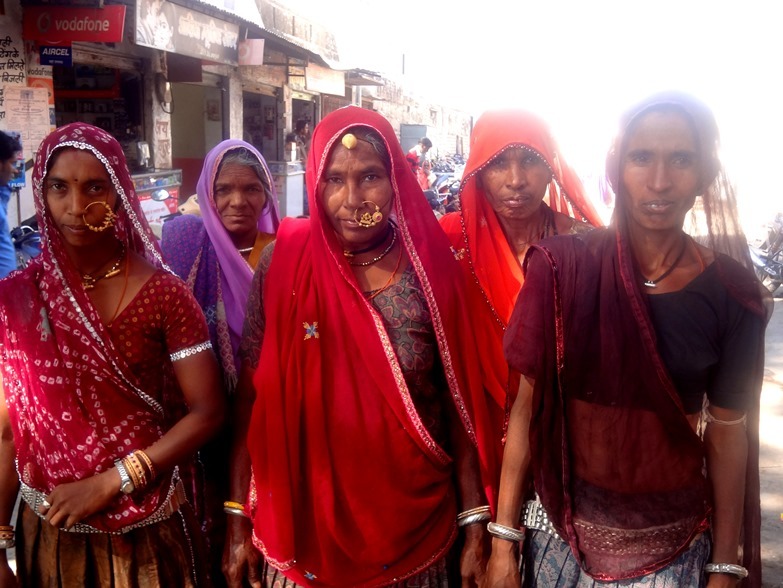 Women wearing traditional nose rings in the village of Shapura- Rajasthan. 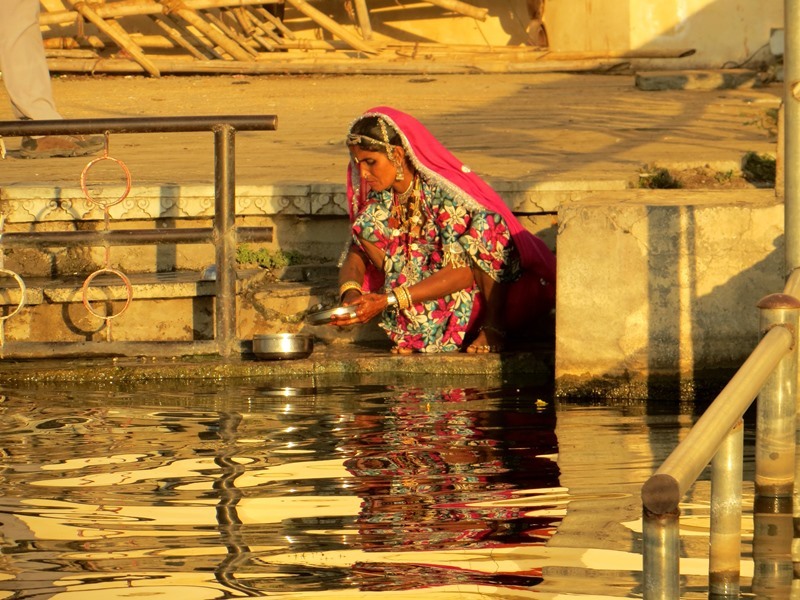 The reflection of this gorgeous woman shimmers on Lake Pichola- Udaipur-Rajasthan. 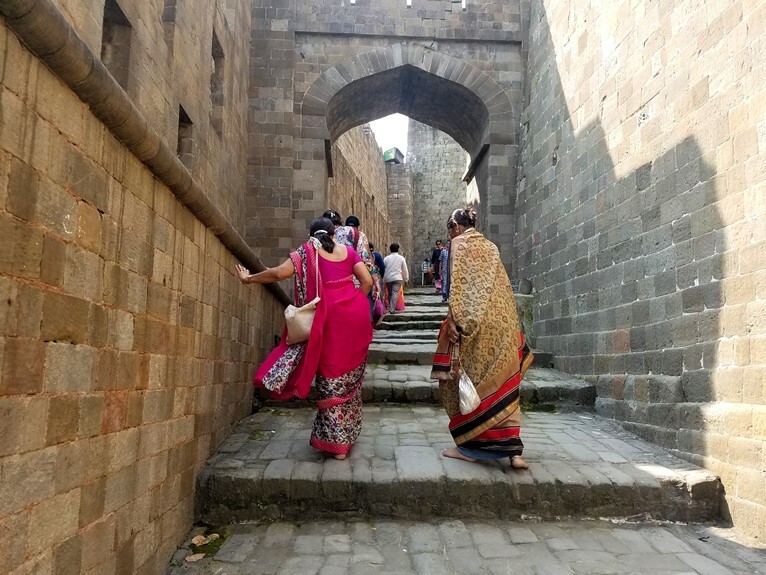 Women making their way to the temples inside the Kangra Fort-Himchal Pradesh.